Research conducted by Dr. Samuel-Hodge involves: (1) psychosocial and behavioral issues related to lifestyle behavior change (diet and physical activity) and weight management; (2) intervention research focused on nutrition issues related to chronic disease risk reduction and self-management; (3) health disparities and translational research; (4) diabetes self-management education strategies using lay diabetes advisors and (5) family and community-based interventions. More recently she has begun to investigate how family interactions and functioning influence lifestyle behaviors. 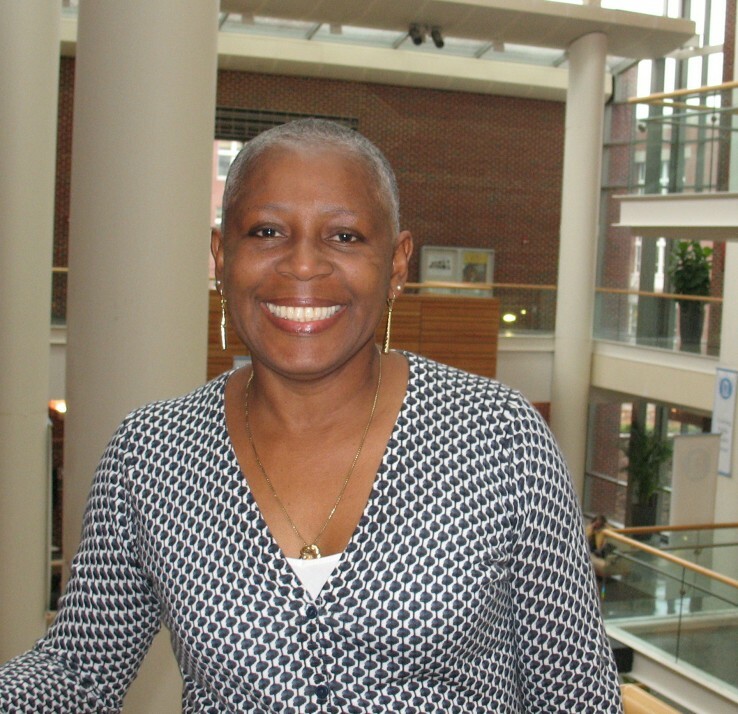 She is also interested in the measurement of psychosocial factors associated with chronic illness and weight management, particularly among lower income populations and African Americans with chronic conditions such as diabetes and hypertension. Her work includes the development and validation of psychosocial instruments to assess perceived diabetes and dietary competence, behavioral control and the impact of multiple care-giving roles on diabetes self-care behaviors of diet and physical activity. Dr. Samuel-Hodge also has experience in the application of qualitative research methodologies to inform survey development and testing and intervention design. A Comparison of Live Counseling With a Web-Based Lifestyle and Medication Intervention to Reduce Coronary Heart Disease Risk: A Randomized Clinical Trial. A Ammerman, S Bangdiwala, K Donahue, L Draeger, K Evenson, E Finkelstein, Z Gizlice, M Gross, L Johnston, T Keyserling, E Kruger, M Pignone, C Samuel-Hodge, S Sheridan, P Sloane, E Steinbacher, M Vu, B Weiner (2014). JAMA internal medicine. Daily self-weighing and adverse psychological outcomes: A randomized controlled trial. Gary Bennett, Susan Ennett, Carmen Samuel-Hodge, Dori Steinberg, Deborah Tate, Dianne Ward (2014). American Journal of Preventive Medicine, 46(1), 24-29. Evaluation of the effectiveness of a problem-solving intervention addressing barriers to cardiovascular disease prevention behaviors in 3 underserved populations: Colorado, North Carolina, West Virginia, 2009. Lucinda Bryant, Felicia Hill-Briggs, Thomas Keyserling, Janie Leary, Christa Lilly, Colleen McMilin, Carmen Samuel-Hodge, Maihan Vu (2014). Preventing Chronic Disease, 11(3). Psychometric properties of the modified RESIDE physical activity questionnaire among low-income overweight women. Kelly Evenson, David Jewell, Larry Johnston, Sydney Jones, Thomas Keyserling, Jennifer Kraschnewski, Carmen Samuel-Hodge, Stewart Trost (2014). Journal of Science and Medicine in Sport. Psychosocial predictors of weight regain in the weight loss maintenance trial. Jamy Ard, Phillip Brantley, Janelle Coughlin, Christina Gullion, Jack Hollis, Gerald Jerome, Lillian Lien, Molly Matthews-Ewald, Valerie Myers, Carmen Samuel-Hodge, Victor Stevens, Diana Stewart, Laura Svetkey (2014). Journal of Behavioral Medicine. Family diabetes matters: A view from the other side. Crystal Cene, C Cene, Leonor Corsino, L Corsino, Carmen Samuel-Hodge, C Samuel-Hodge, Laura Svetkey, L Svetkey, Chelsea Thomas, C Thomas (2013). Journal of General Internal Medicine, 28(3), 428-435.